S50U Danilo - You may find here some stuff concerning contesting and DX-ing. 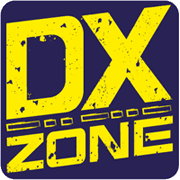 I2WIJ Bob - Contesting, IOTA, DXPeditions, DX, and much more.....worth a click! ADIF Specifications - Amateur Data Interchange Format, provide a standard interchange independent of operating system or programming language for amateur data that will permit easy and direct transfer of data conforming to the standard between various amateur programs as well awards and contest sponsors.